Citation: Das P, Pandey K, Das VNR, Goyal V, Rijal S, et al. (2018) PKDL Development after Combination Treatment with Miltefosine and Paromomycin in a Case of Visceral Leishmaniasis: First Ever Case Report. J Med Microbiol Immunol Res 2:1. Copyright: © 2017 Das P, et al. This is an open-access article distributed under the terms of the Creative Commons Attribution License, which permits unrestricted use, distribution, and reproduction in any medium, provided the original author and source are credited. We report for the first time the occurence of post kala-azar dermal leishmaniasis (PKDL) after successful treatment of visceral leishmaniasis (VL) with a combination of miltefosine and paromomycin. This 10-year-old male patient from Bihar, India developed maculopapular lesions on the face and trunk one year after successful treatment of VL. PKDL was confirmed by parasitological diagnosis (slit skin smear) of skin lesions for Leishmania donovani. He was treated with amphotericin B deoxycholate injections for PKDL and recovered completely. Post kala-azar dermal leishmaniasis (PKDL) is a skin disease which occurs following the treatment of visceral leishmaniasis (VL) caused by Leishmania donovani. PKDL usually develops within 6 months of VL treatment in Sudan, and between 2 months and several years in India . A small proportion of PKDL cases develop without any past history of visceral leishmaniasis. PKDL presents with skin lesions which are macules (hypo-pigmented patches), papules, and nodules, or a combination of these, known as polymorphic skin lesions . PKDL is a disease of major public health importance post-VL, as it is thought that PKDL could be a reservoir of L. donovani infection and hence transmit VL. PKDL usually occurs after treatment of VL, which explains the higher number of PKDL cases where the number of treated VL cases is high. However, cases have also been reported without a history of VL, suggesting a role in transmission for asymptomatic infections in endemic regions. Consent was obtained from the guardian of the patient for investigation and treatment of PKDL and publication of the case report. A 10-year-old male with a past history of visceral leishmaniasis presented to the outpatient department of Chapra District Hospital, Bihar, in May 2014 with hypopigmented lesions. PKDL was suspected, and he was referred to Rajendra Memorial Research Institute of Medical Sciences (RMRI), a specialized referral intitute for visceral leishmaniasis, for confirmation of diagnosis. He had multiple maculopapular lesions on the face and trunk, and these lesions were non-anesthetic to touch and pain. On palpation, the ulnar and common peroneal nerves were not thickened thus ruling out leprosy. He reported to have suffered from VL in February 2013 and was treated with a combination therapy of paromomycin injection (11 mg/kg for 10 days IM) and miltefosine capsules (2.5 mg/kg body weight, 50 mg capsule orally B.D. for 10 days) at Chapra District hospital, Bihar. He had become afebrile after completion of VL treatment and was followed-up after 6 and 12 months, at which points he had no symptoms of relapse. He did not suffer from any other complaints such as fever or weakness. The rapid diagnostic test rk39 gave a positive result, as expected from a former VL case, meanwhile routine haematology and biochemistry tests were within the normal range. Microscopy of skin snip smear on Giemsa staining demonstrated Leishman-Donovani (LD) bodies confirming PKDL. He was treated with amphotericin-B (1 mg/kg I.V. infusion in 5% dextrose, 15 injections on alternate days) and needed 3 courses at 15 day intervals for complete disappearance of lesions. Skin snip after 3 courses was negative for LD bodies. He was followed up at 12 and 24 months, and has remained symptom free with no recurrence of skin lesions. As has already been stated, PKDL can prove to be a reservoir of VL, thereby causing new epidemics . The vector is the same as that for VL, i.e. the female phlebotomine sandfly, Phlebotomus argentipes. As per the VL elimination program, there should be less than 1 case/10,000 population at the subdistrict level. Most of the Indian states appear to be moving in this direction with early detection, diagnosis and complete case management of VL cases. The number of cases has come down considerably, even in Bihar which contributes to about 70-80% of the total number of Indian cases. However, PKDL is not properly included in this program, as both diagnosis and management of the disease is very challenging. Besides, the lack of trained clinicians, dermatologists and pathologists compounds this pre-existing problem. These aspects of PKDL, in addition to its pathophysiology, have to be taken into consideration at this juncture, particularly when we are knocking at the door of VL elimination. PKDL occurs in the same areas which are known to be endemic for leprosy and so clinical examination has to be very meticulous. History of previous VL, or its treatment, and intact sensation over the lesions, along with non-enlargement of the peripheral nerves such as the ulnar or common peroneal and great auricular, virtually rule out leprosy. Further confirmation can be obtained by histopathological differentiation by skin snip/smear, which will demonstrate acid-fast bacilli in leprosy and LD bodies in PKDL. Electromyography (EMG) and nerve conduction velocity (NCV) can help in the confirmation of leprosy by showing signs of peripheral neuropathy, like wrist or foot drop, sensory loss or tingling, and slowing of nerve conduction velocity. A trained clinician and a dermatologist can rule out leprosy, as well as other common fungal infections such as pityriasis versicolor, and additionally autoimmune disorders such as psoriasis or vitiligo. Histopathological diagnosis can be made by skin snip or biopsy of the lesion and demonstration of LD bodies. PCR, including real time PCR from the skin lesions, can prove to be a very useful diagnostic tool for confirmation of PKDL. However, it requires trained personal, a well-equipped laboratory with sophisticated equipment, and is extremely costly. rK-39 is a single immunochromatographic IgG-based strip test which may prove to be a useful screening test for PKDL with blood/serum in the field. Even sputum and urine have been found to report positive in VL/PKDL cases [3,4]. PKDL has been found to occur after VL treatment with SAG, amphotericin B, liposomal amphotericin B, miltefosine and Paromomycin when given as monotherapy treatment [5-8]. Indian national program has revised the treatment policy in August 2014 and combination regimen has been considered as one of the alternative treatment options for management of VL case in India . This, however, is the first case to be reported in which PKDL occurred after treatment of VL with paromomycin and miltefosine combination therapy. As per the National Vector Borne Disease Control Programme (NVBDCP), the first line of treatment strategy for PKDL is 12 weeks of miltefosine. Other treatment options include amphotericin-B (1 mg/kg, 3-4 courses with 20 injections on alternate days) or liposomal amphotericin-B (5 mg/kg, twice weekly for 3 weeks). In this case, since miltefosine was used for VL treatment previously, we used amphotericin B for PKDL treatment. The patient responded well to treatment and was completely cured. At present we have no possible drug for VL treatment which can prevent progression to PKDL. Therefore, it is important to investigate the relationship between VL burden and PKDL. Furthermore, treatment options for PKDL also have to be broadened and future combination therapies or new drugs are needed. In conclusion, it is clear that measuring the burden of PKDL, the rates of PKDL according to the drug used in the VL episode, and mapping all PKDL cases and getting them treated is important for the control of VL, especially in terms of the success of the VL elimination program target in the Indian subcontinent. We express our gratitude to patient and his family who participated in the case report without whom this case report would not have been possible. We are grateful to the Rajendra Memorial Research Institute of Medical Sciences for their support and valuable guidance. Zijlstra EE, Musa AM, Khalil EAG, El Hassan IM, EI-Hassan AM (2003) Post-kala-azar dermal leishmaniasis. Lancet Infect Dis 3: 87-98. Addy M, Nandy A. (1992). Ten years of kala-zar in West Bengal, part I. Did postkala-azar dermal leishmaniasis initiate the outbreak in 24-Parganas? Bull World Health Organ 70: 341-346. Singh D, Pandey K, Das VNR, Das S, Verma N, et al. (2013) Evaluation of rK-39 strip test using urine for diagnosis of visceral leishmaniasis in an endemic region of India. Am J Trop Med Hyg 88: 222-226. Singh D, Pandey K, Das VNR, Das S, Kumar S, et al. 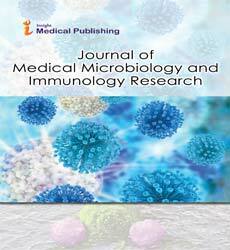 (2009) Novel Noninvasive Method for Diagnosis of Visceral Leishmaniasis by rK39 Testing of Sputum Samples. J Clin Microbiol 47: 2684-2685. Ramesh V, Kaushal H, Mishra AK, Singh R, Salotra P (2015) Clinico-epidemiological analysis of Post kala-azar dermal leishmaniasis (PKDL) cases in India over last two decades: a hospital based retrospective study. BMC Public Health 15: 1092. Das VNR, Pandey K, Singh D, Forwood C, Lal CS, et al. (2013) Development of post-kala-azar Dermal leishmaniasis in AmBisome treated visceral leishmaniasis: A possible challenge to elimination program in India. J Postgrad Med 59: 226-228. Das VNR, Pandey K, Verma N, Lal CS, Bimal S, et al. (2009) Development of Post–Kala-Azar Dermal Leishmaniasis (PKDL) in Miltefosine-Treated Visceral Leishmaniasis. Am J Trop Med Hyg 80: 336-338. Pandey K, Das VNR, Singh D, Das S, Lal CS (2012) Post-kala-azar dermal leishmaniasis in a patient treated with injectable paromomycin for visceral leishmaniasis in India. J Clin Microbiol 50: 1478-1479.